How encouraging is the thought of the Redeemer's never- ceasing intercession for us. When we pray, he pleads for us; and when we are not praying, he is advocating our cause, and by his supplications shielding us from unseen dangers. Notice the word of comfort addressed to Peter-"Simon, Simon, Satan hath desired to have you that he may sift you as wheat; but"-what? "But go and pray for yourself." That would be good advice, but it is not so written. Neither does he say, "But I will keep you watchful, and so you shall be preserved." That were a great blessing. No, it is, "But I have prayed for thee, that thy faith fail not." We little know what we owe to our Saviour's prayers. When we reach the hill-tops of heaven, and look back upon all the way whereby the Lord our God hath led us, how we shall praise him who, before the eternal throne, undid the mischief which Satan was doing upon earth. How shall we thank him because he never held his peace, but day and night pointed to the wounds upon his hands, and carried our names upon his breastplate! Even before Satan had begun to tempt, Jesus had forestalled him and entered a plea in heaven. Mercy outruns malice. Mark, he does not say, "Satan hath desired to have you." He checks Satan even in his very desire, and nips it in the bud. 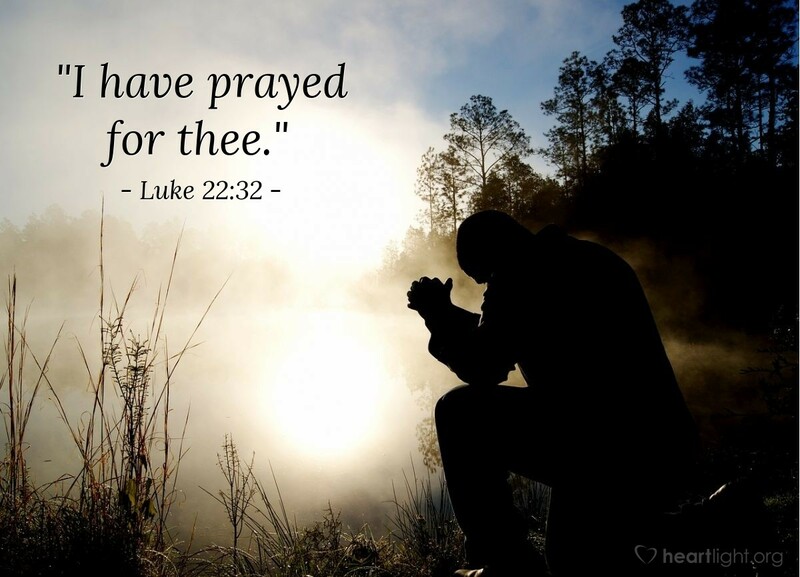 He does not say, "But I have desired to pray for you." No, but "I have prayed for you: I have done it already; I have gone to court and entered a counterplea even before an accusation is made." O Jesus, what a comfort it is that thou hast pleaded our cause against our unseen enemies; countermined their mines, and unmasked their ambushes. Here is a matter for joy, gratitude, hope, and confidence.